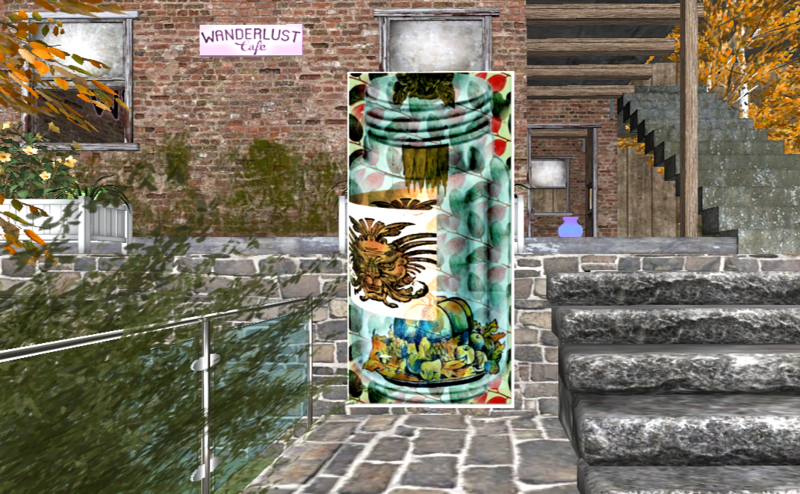 Even with the summer slow down and a rapidly changing world, almost all the art at Wanderlust Bench Art Park is new for July and August. 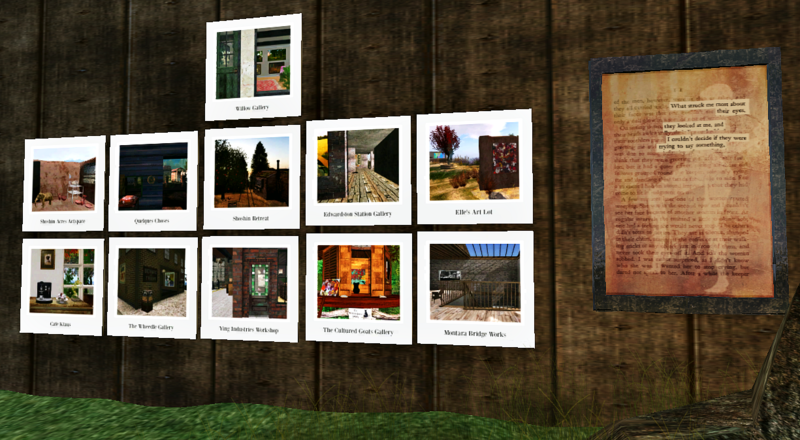 There’s about two weeks left to visit before the refresh happens the beginning of September. 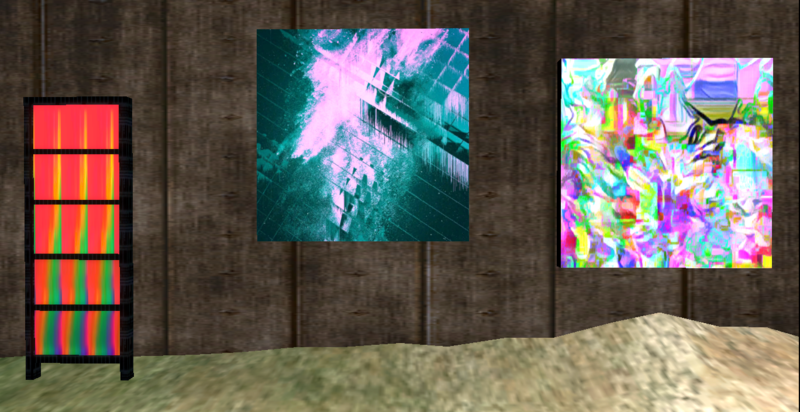 From left to right above, pieces by myself, serra Qendra and Wheedle. 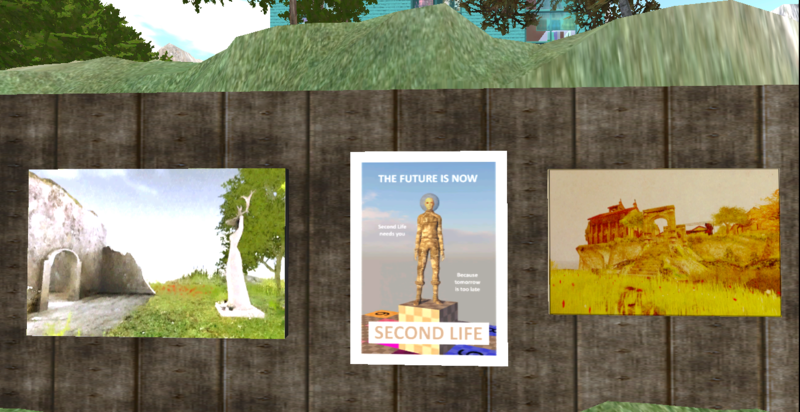 There’s never a theme and I always look forward to seeing what avatars choose to exhibit and how it always seems to come together in my view. 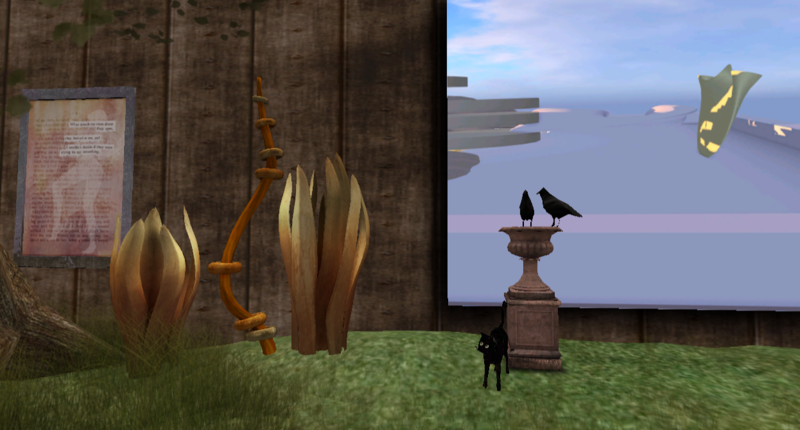 Horses by Klaus Bereznyak and landscape by Veyot. 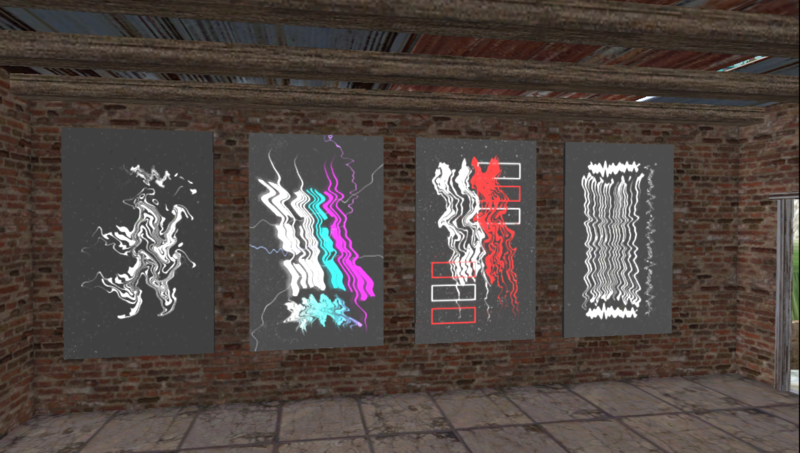 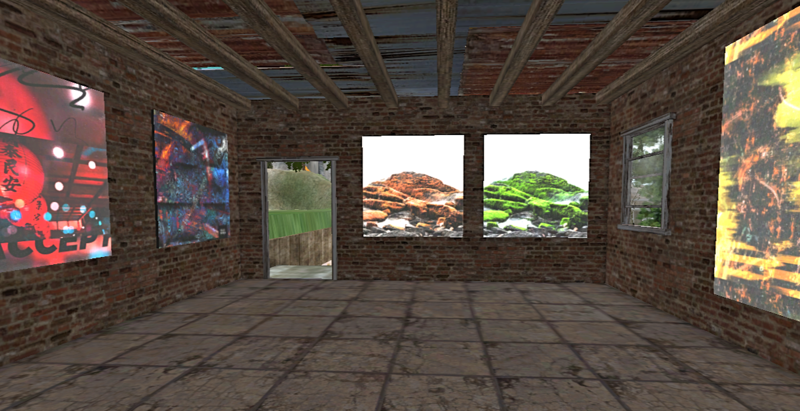 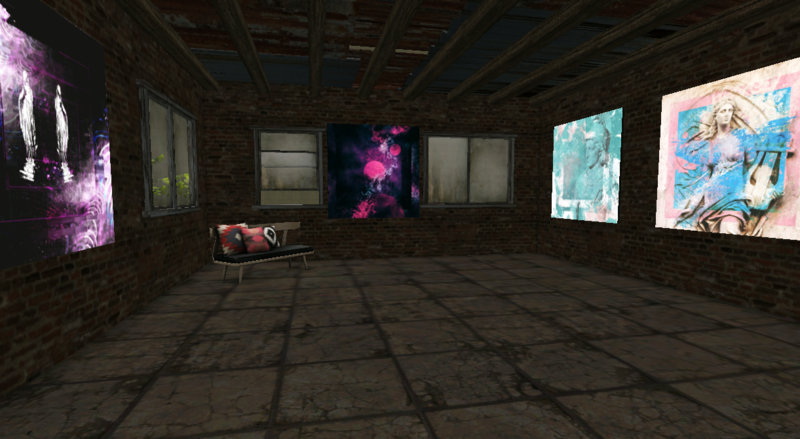 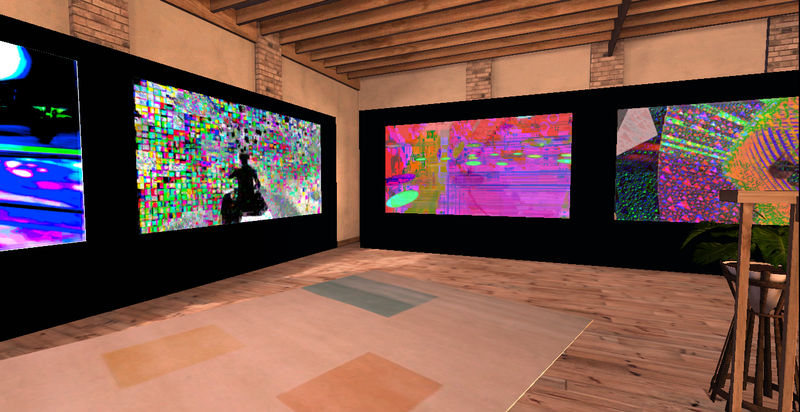 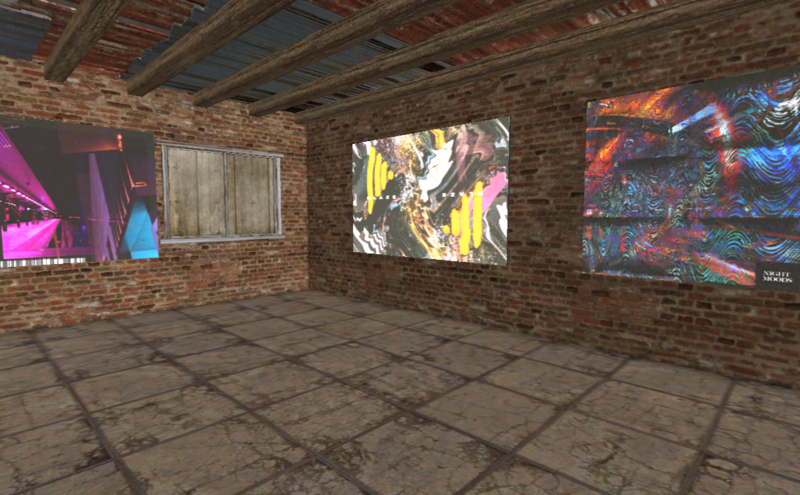 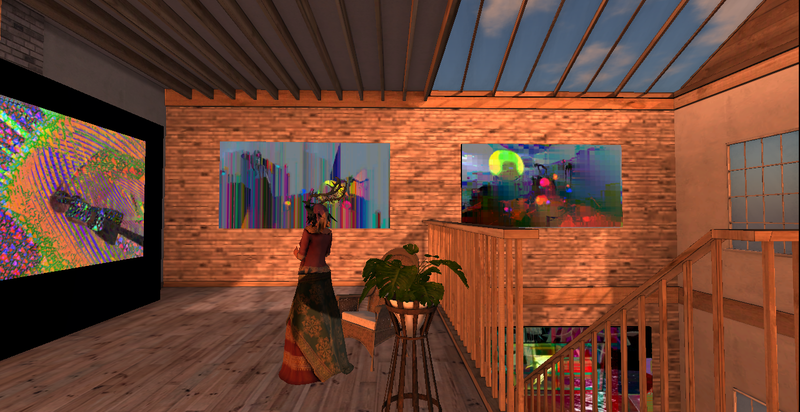 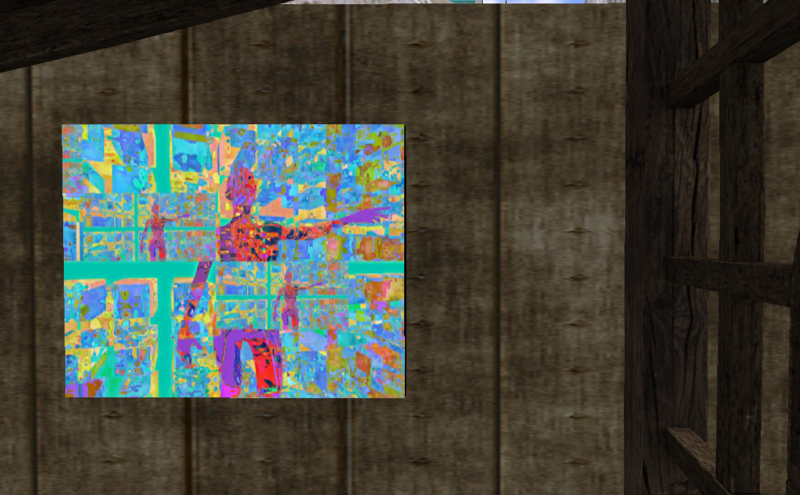 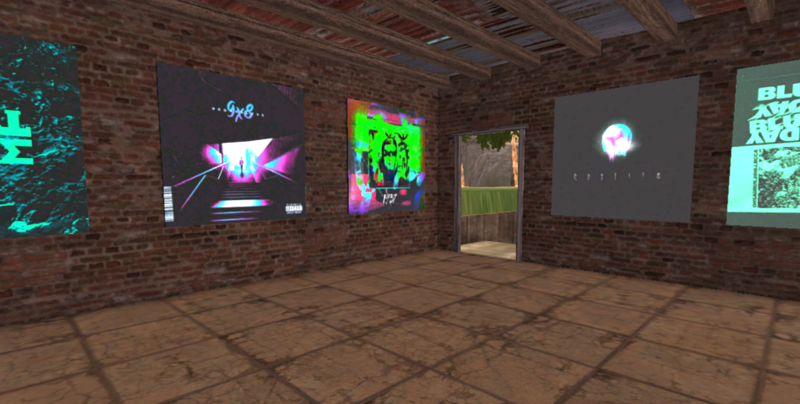 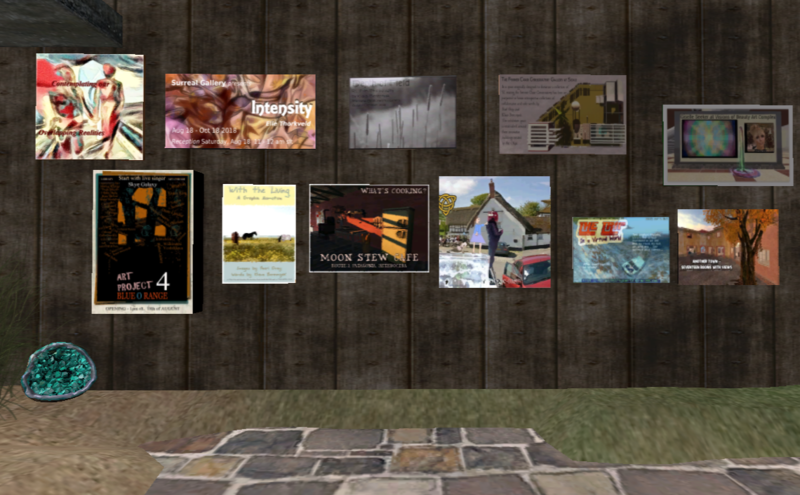 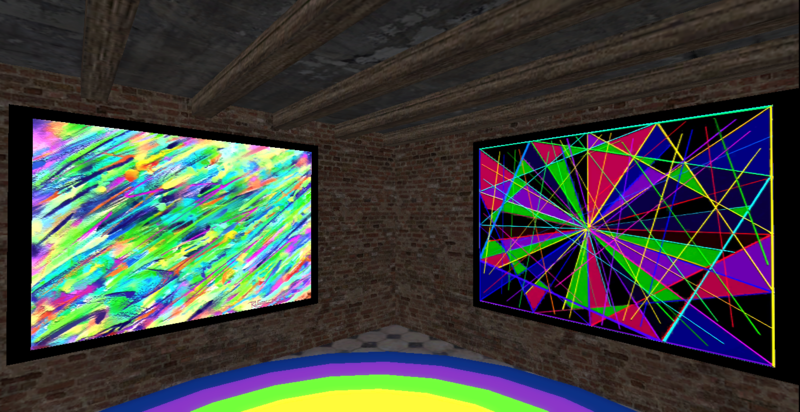 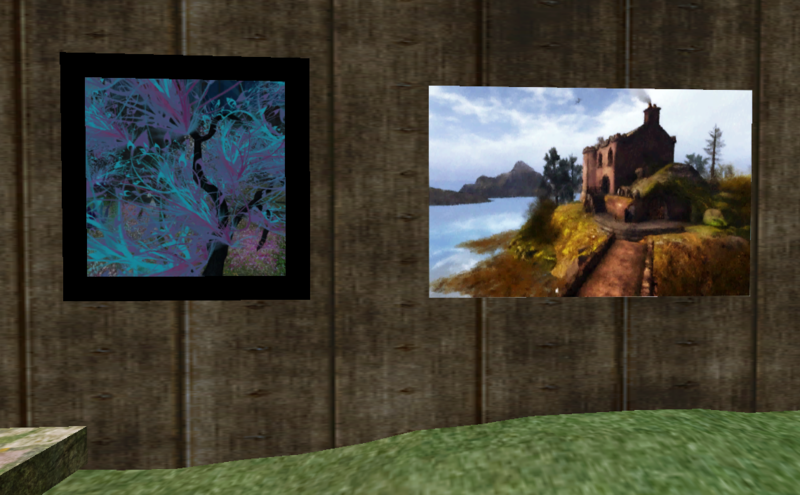 The 512 parcel in Quentin has been exhibiting works by various artists for almost two and a half years! 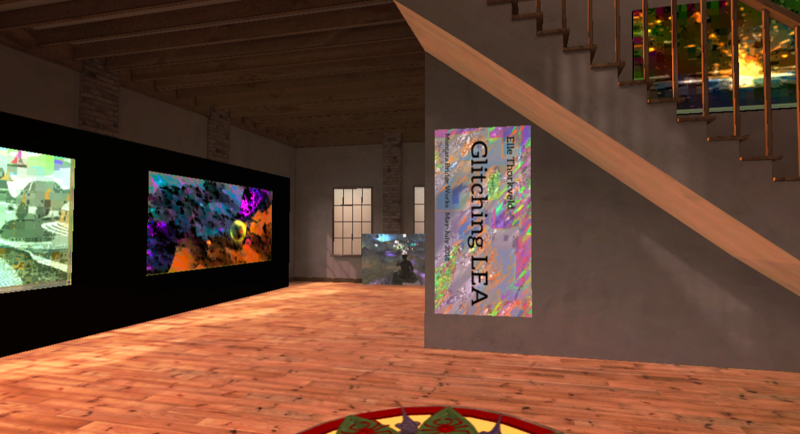 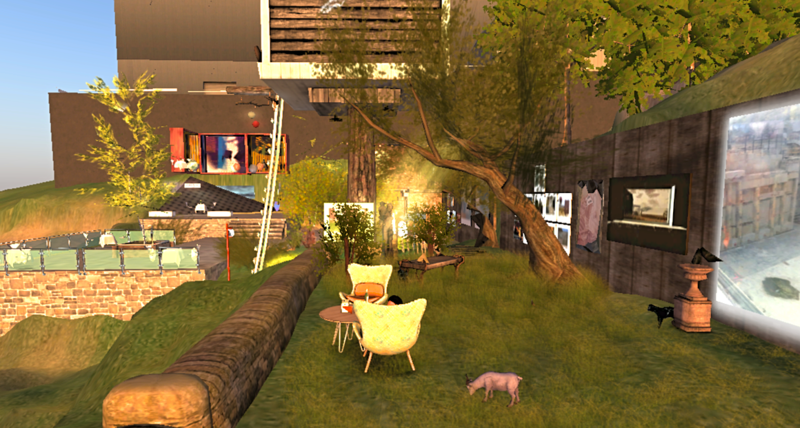 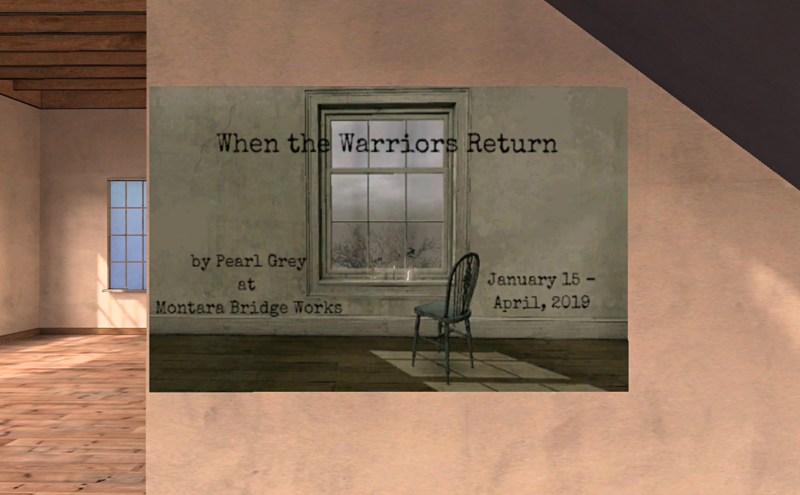 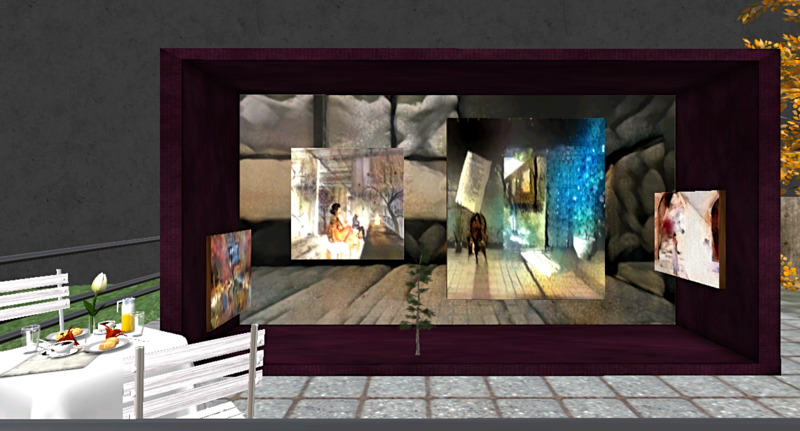 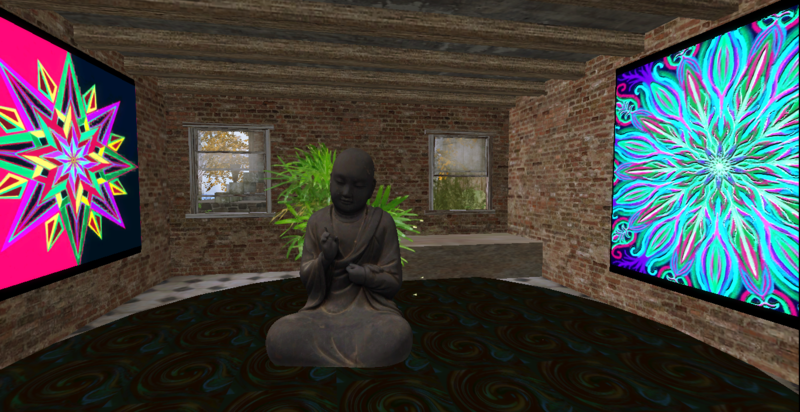 From avatars who make one 2D picture every two months, to more prolific creators, exhibiting at the park and Wanderlust Cafe is an alternative or addition to other types of galleries. 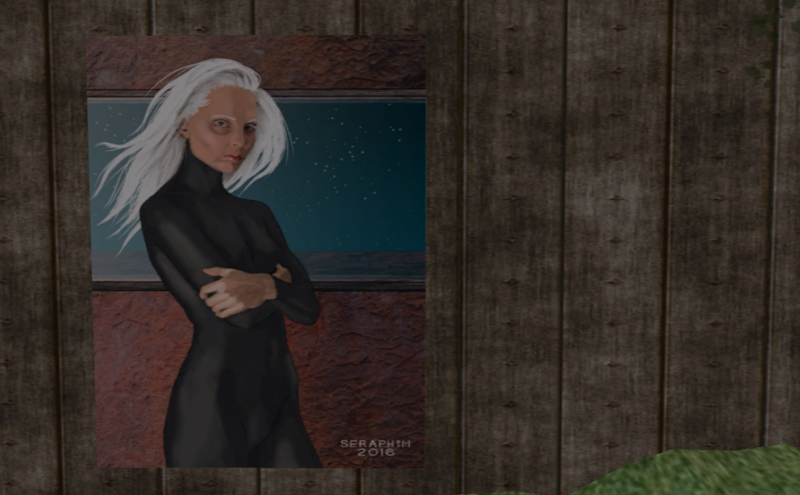 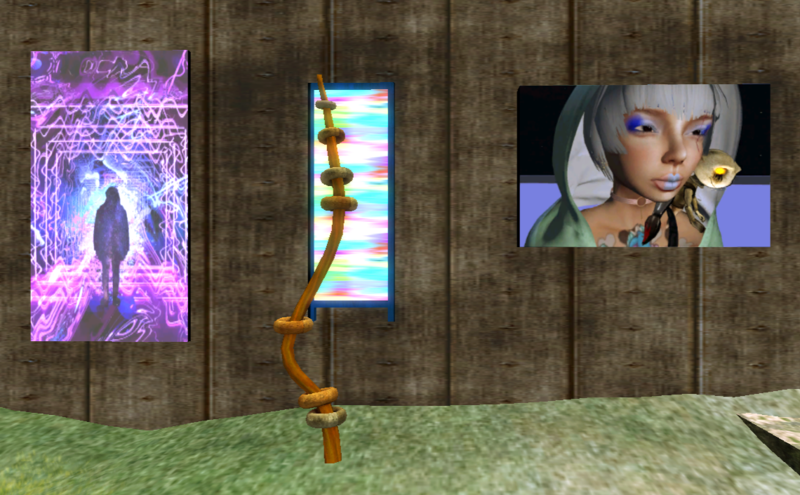 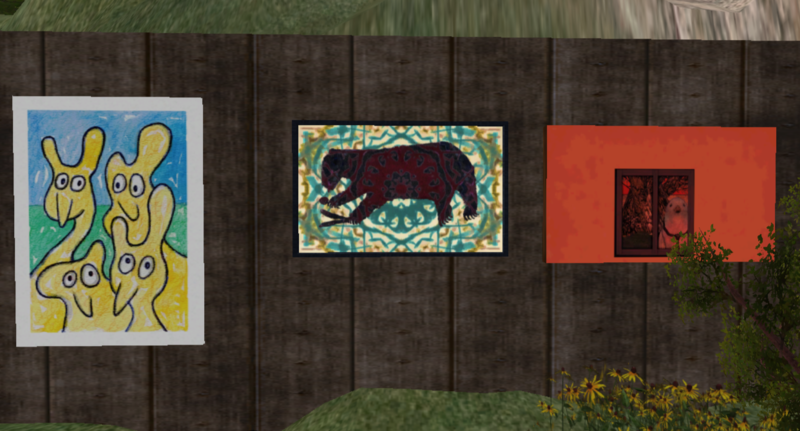 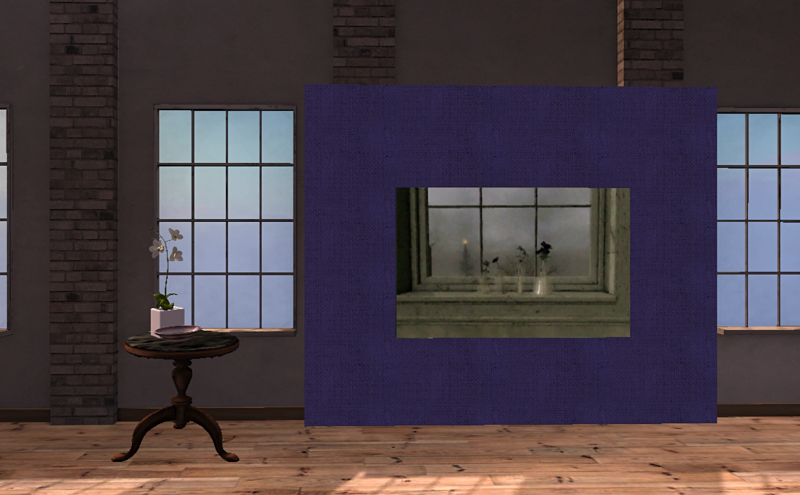 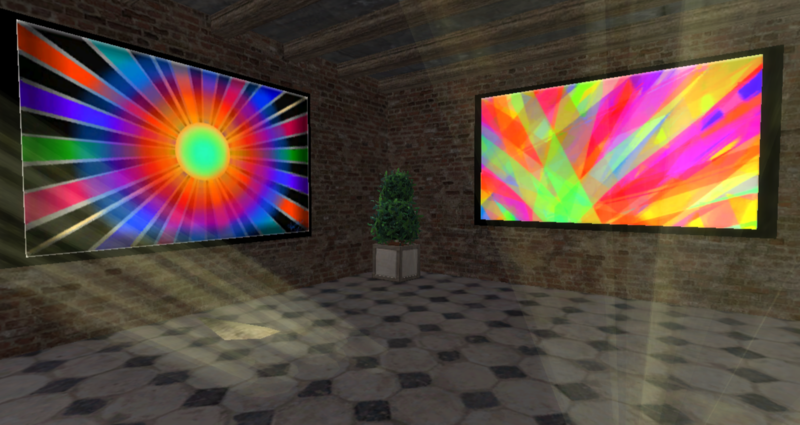 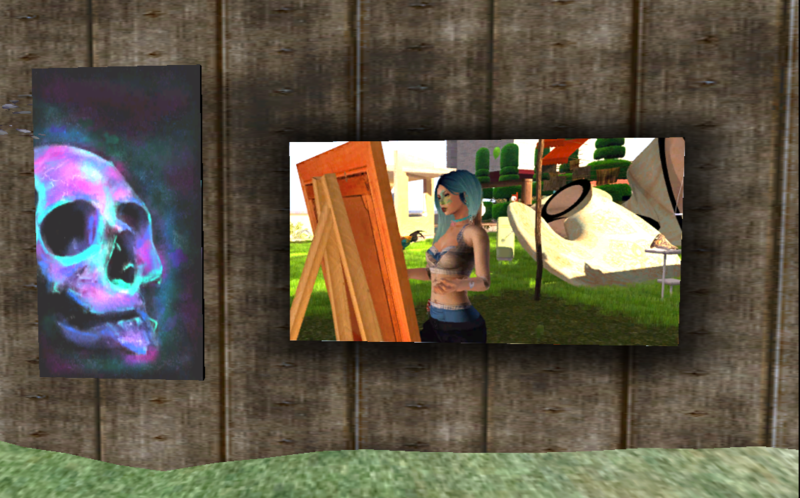 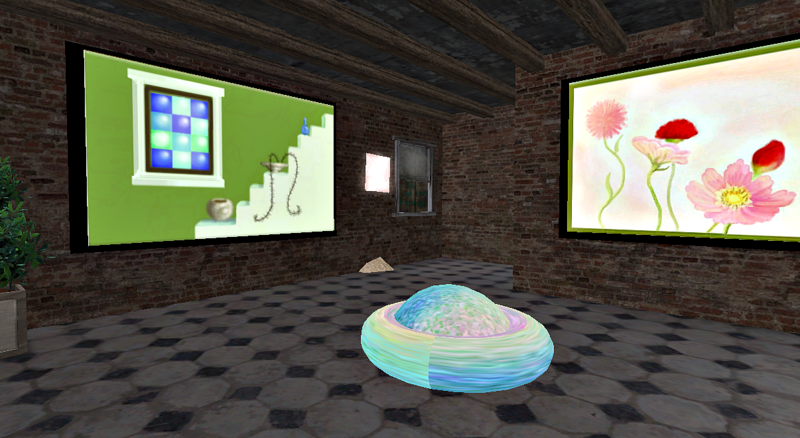 From left to right, screen by Lynette Trinity, digital art by Lil Mint and Elle Thorkveld. 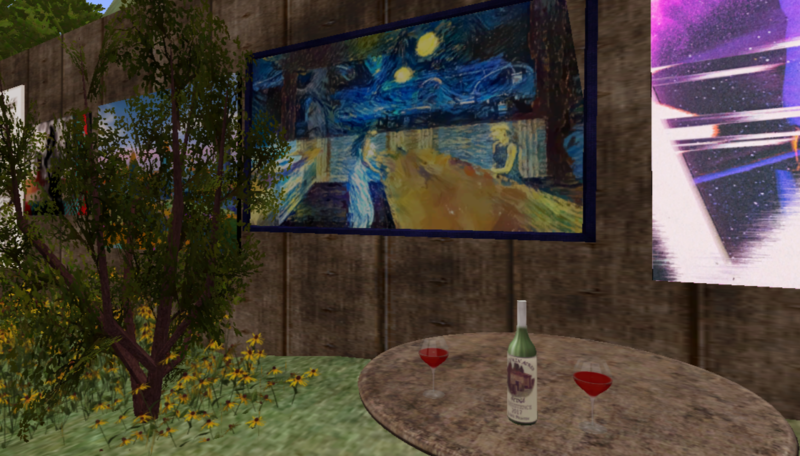 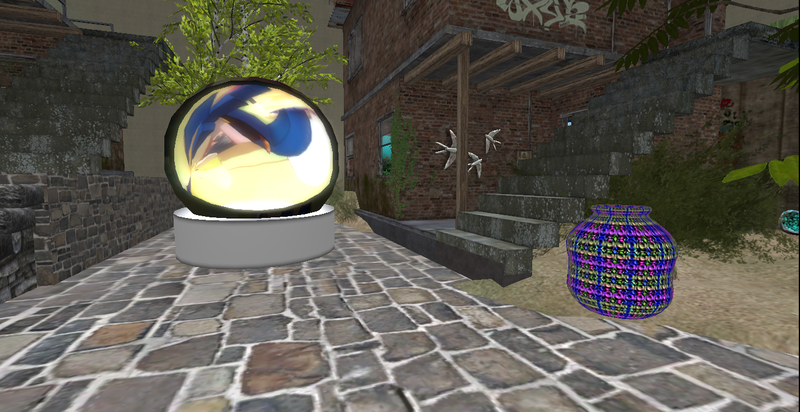 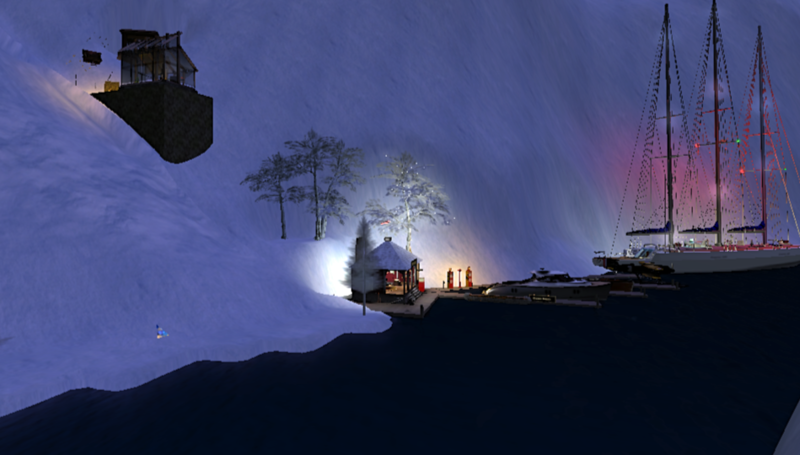 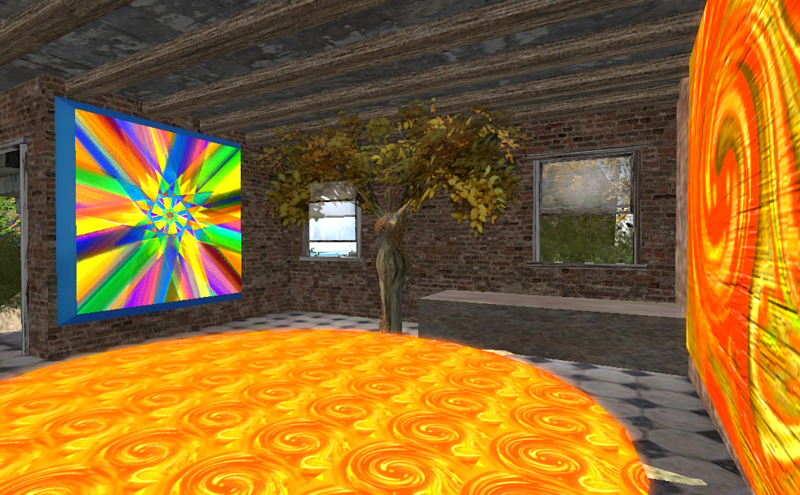 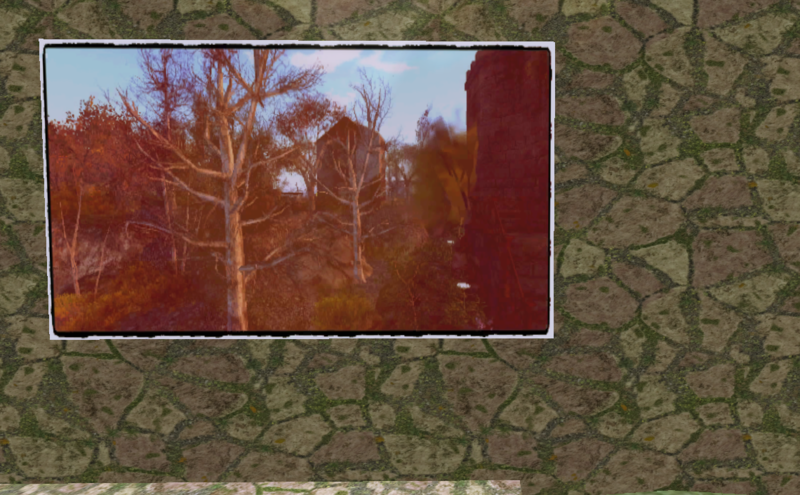 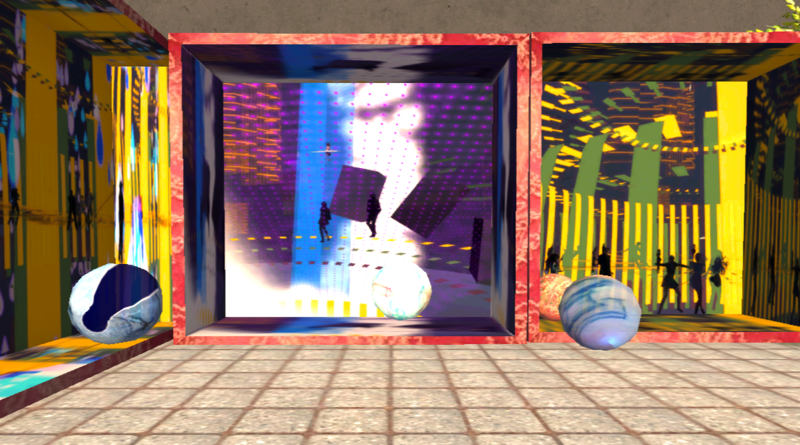 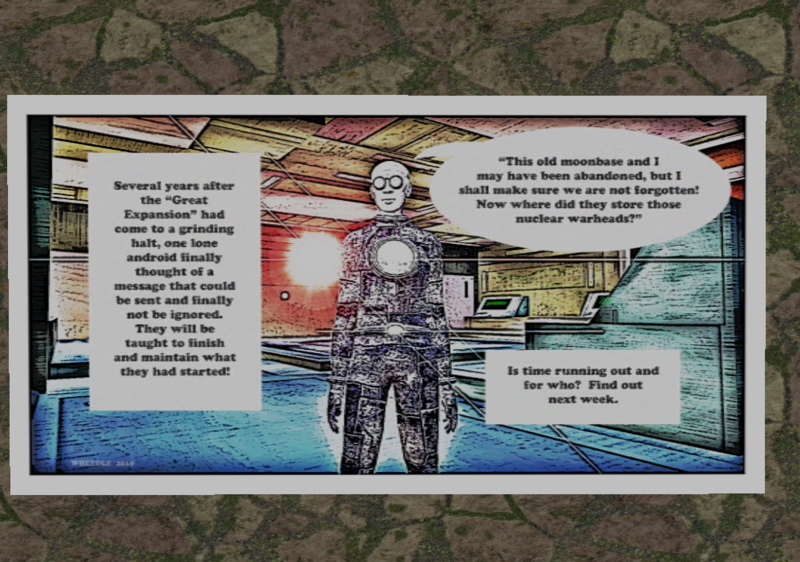 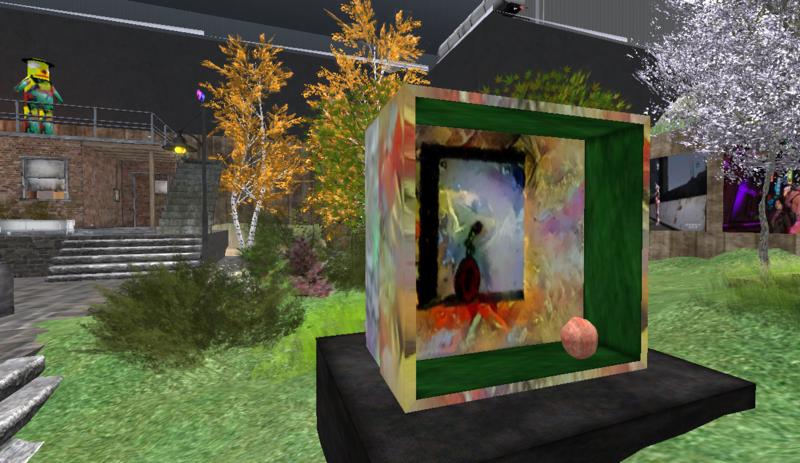 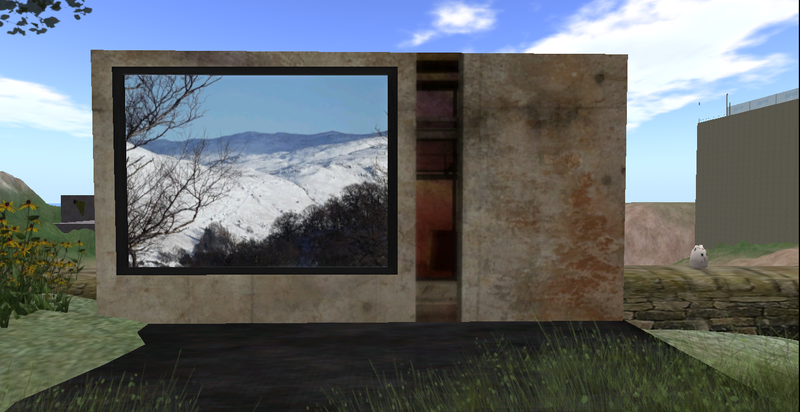 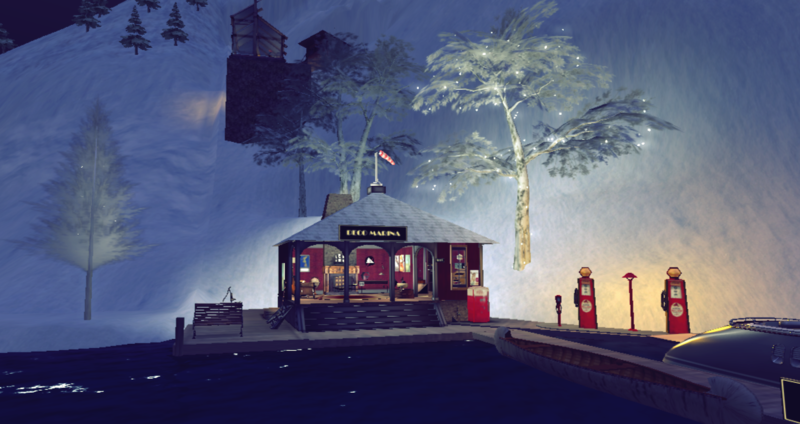 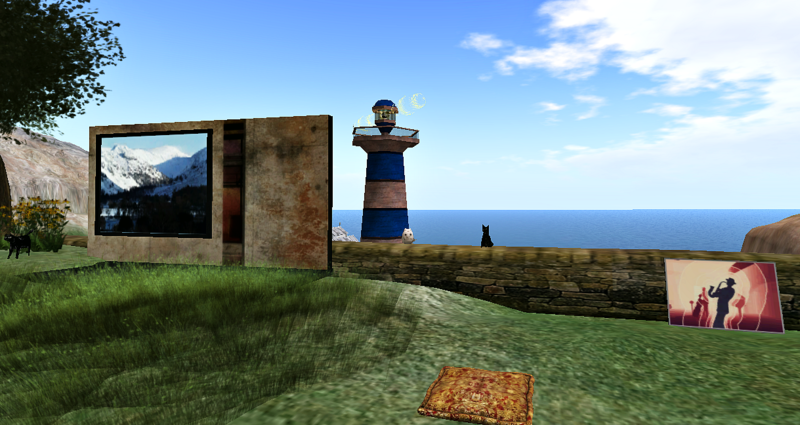 We have a video, a short story slideshow set at Tralala’s Diner by Tralala Loordes. 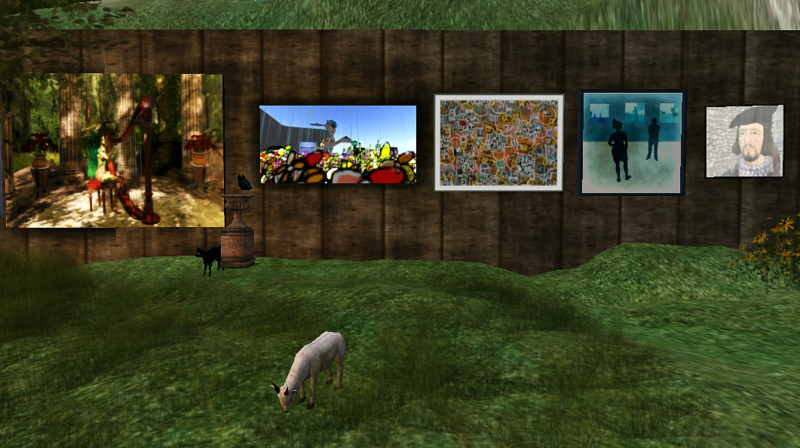 Photographs and story by Klaus Bereznyak. 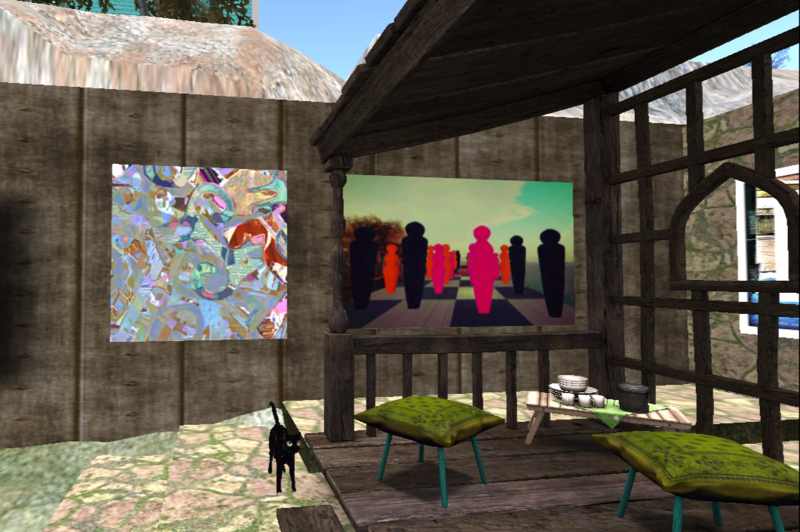 A first time exhibitor at this outdoor gallery, Amy Inawe has a gorgeous painting called Splash, in the left of the photo. 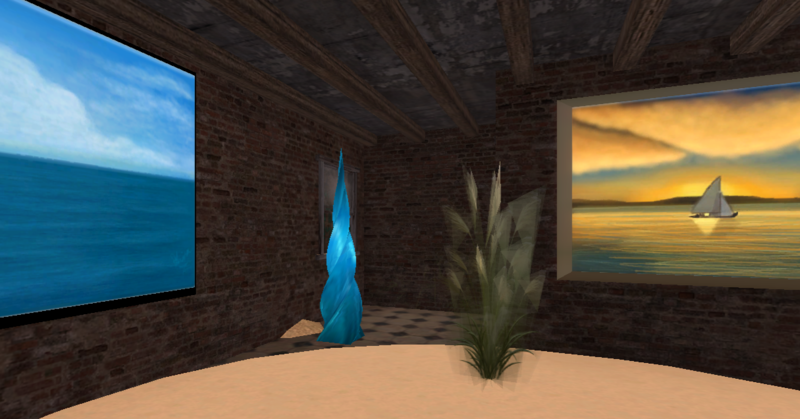 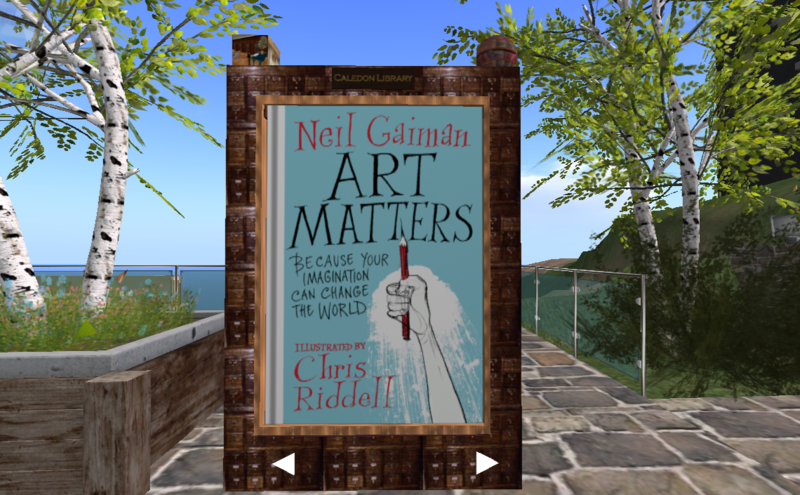 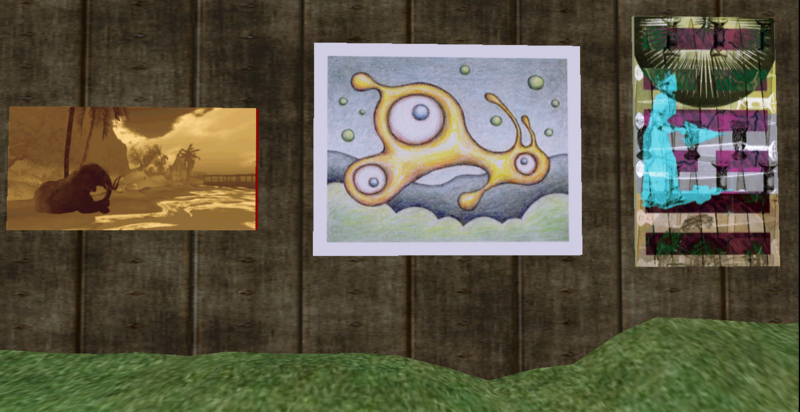 The image next to it by Klaus Bereznyak, contains his written essay, Out Loud. 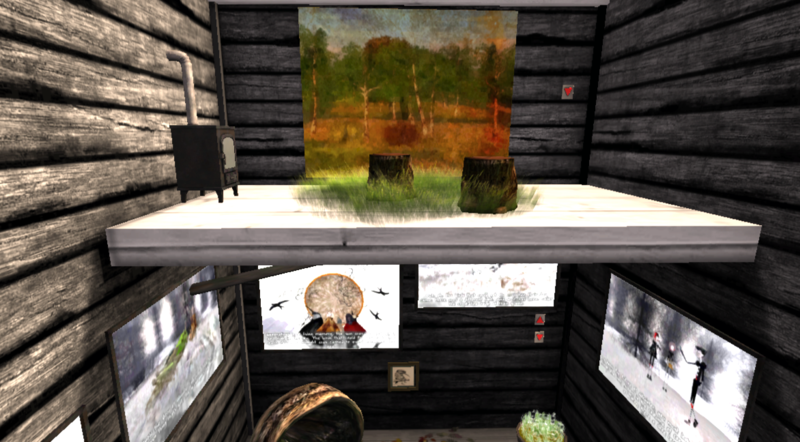 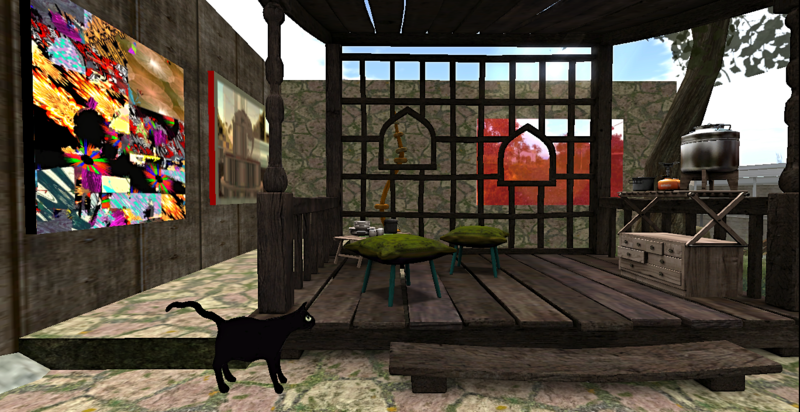 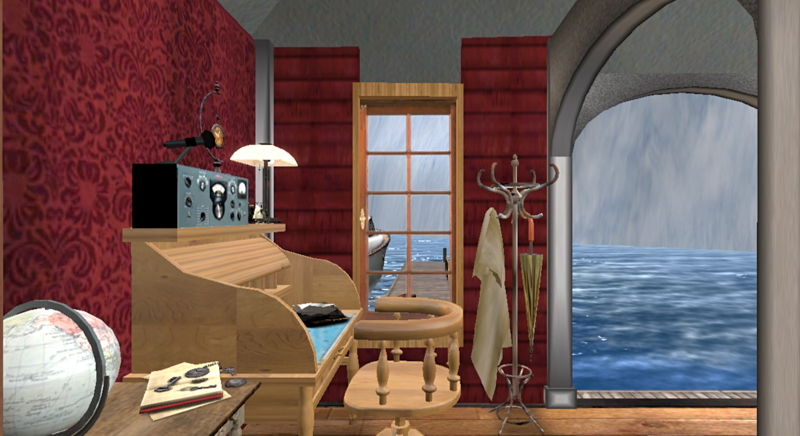 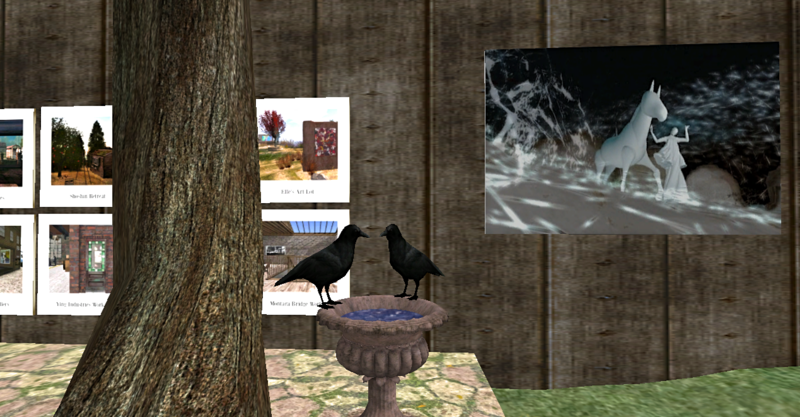 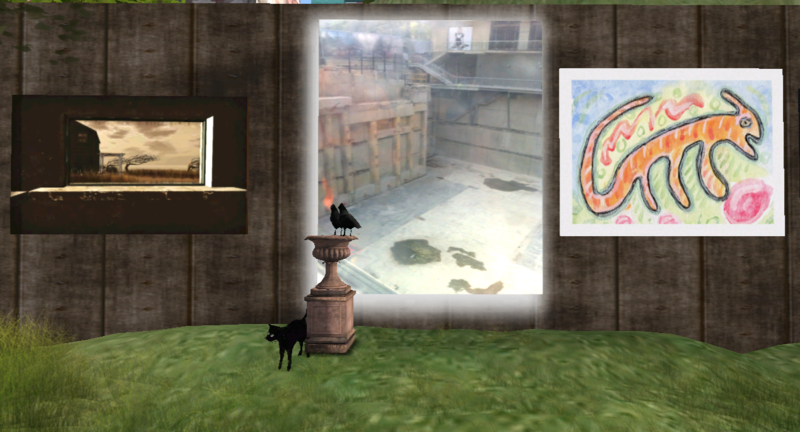 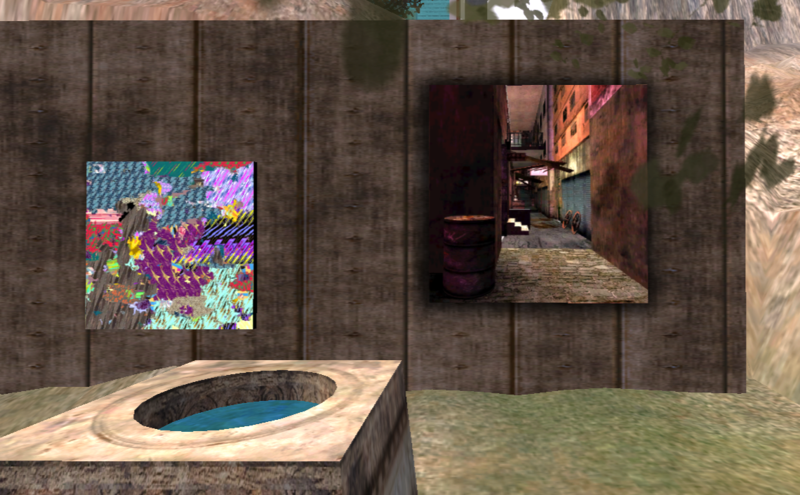 The photo taken in The Birdhouse shows two levels; upstairs contains a hideout with a digital piece I’d made for another project; downstairs a 5 panel story, photos I took with text by Klaus. 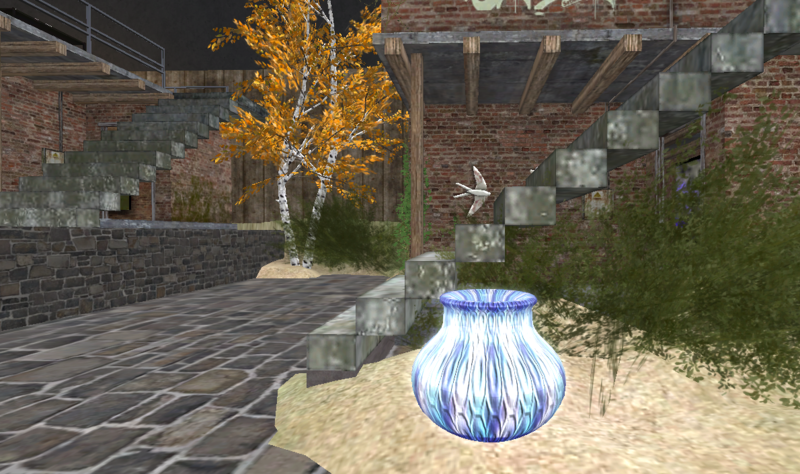 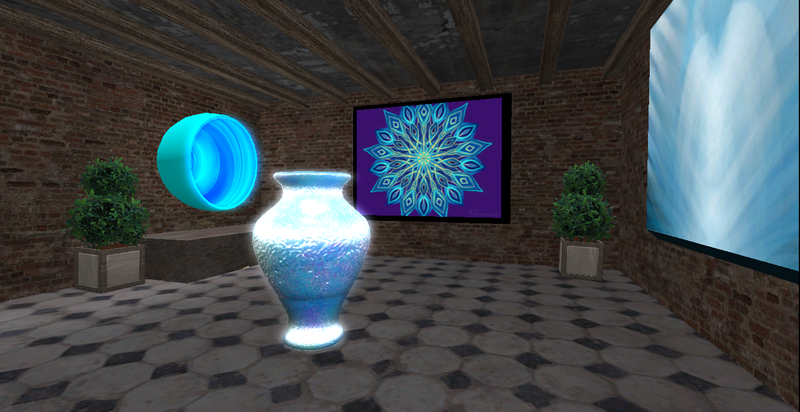 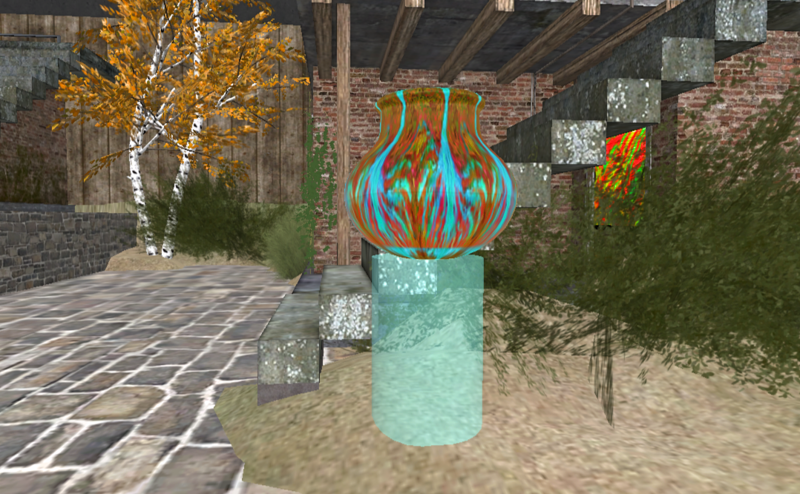 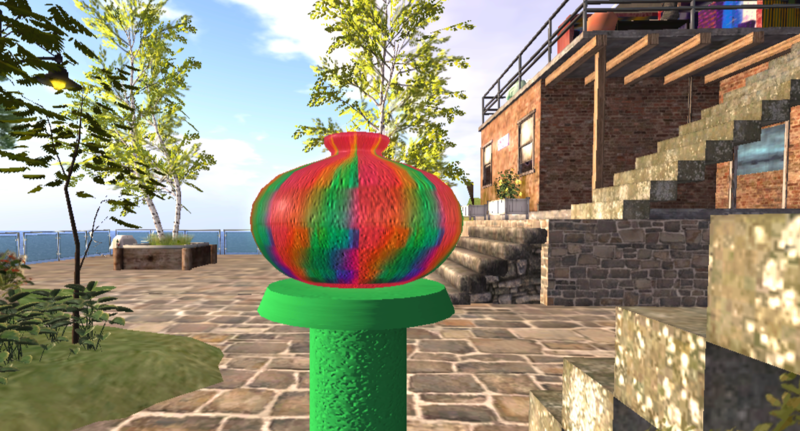 A colorful floor vase by Lynette Trinity. 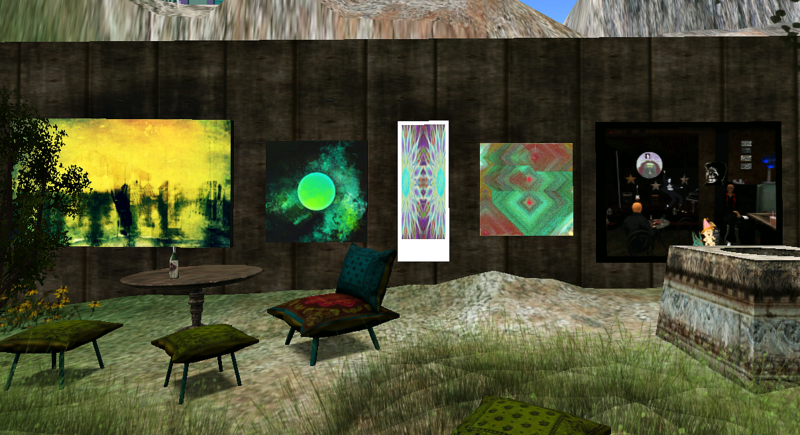 The ground floor of the Wanderlust Cafe Gallery shows paintings by Giselle Seeker. 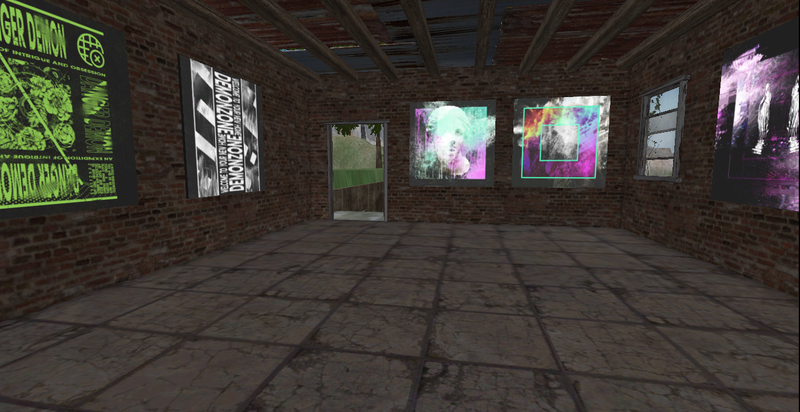 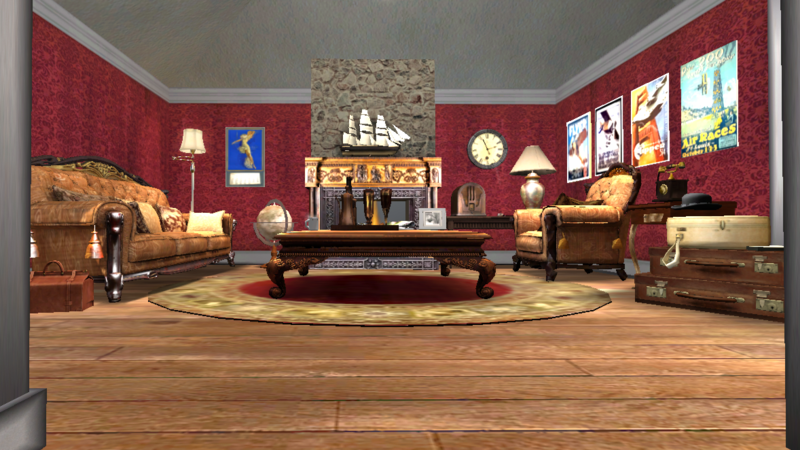 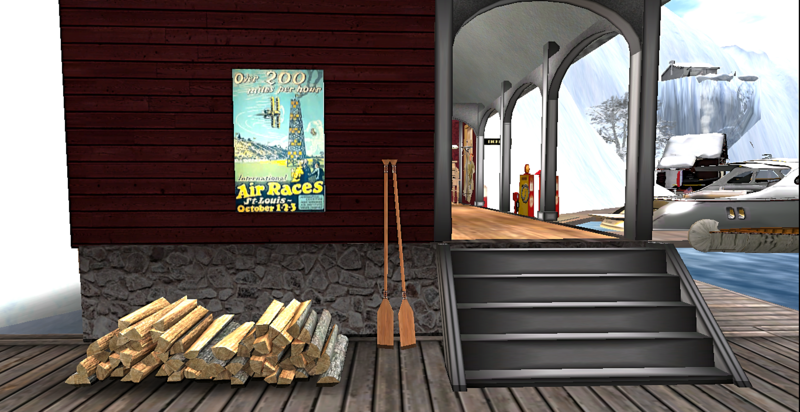 Upstairs, graphic art by Lil Mint. 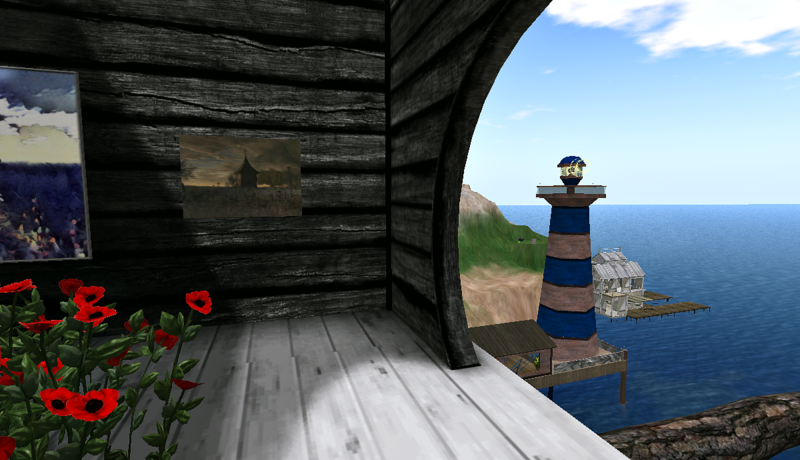 The installation I put together on the roof of Wanderlust Cafe was inspired by the banlines from the correctional facility next door.